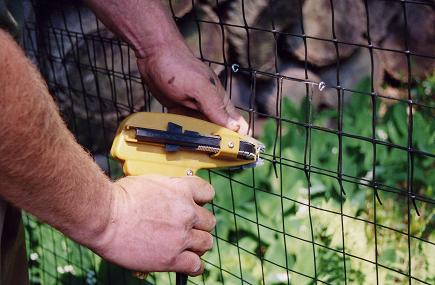 The Benner's Hogringer is a time-saving tool used to easily attach the tension cable to the fence. 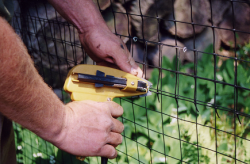 It is also very useful in attaching the Rodent Barrier to the fence. 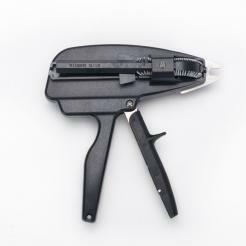 The Hogringer is self-feeding (much like a staple gun) and it bends a "C"-shaped piece of galvanized steel into a circle.